Golden: A honey brown color. 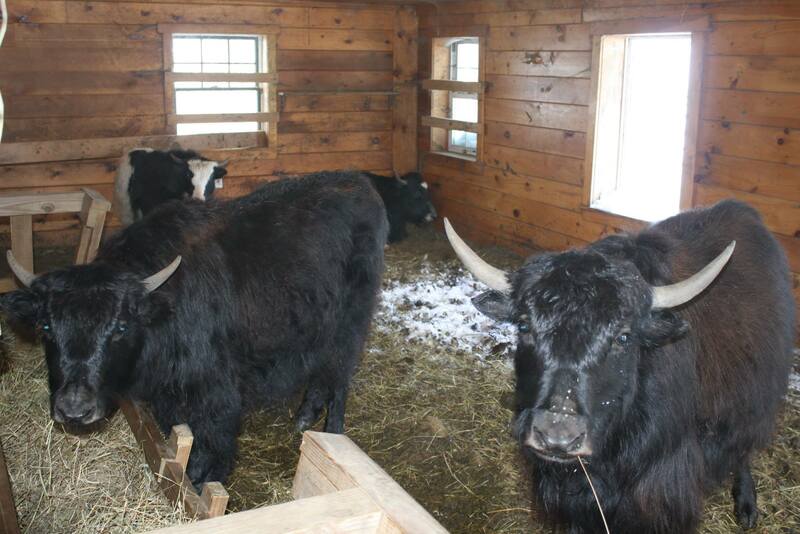 The Skirted Fleece yaks came from two different farms to help ensure genetic diversity, The Yak Daddy Ranch and The Royal Bearfield Farm. Dawa was born to Eirene in June 2012. 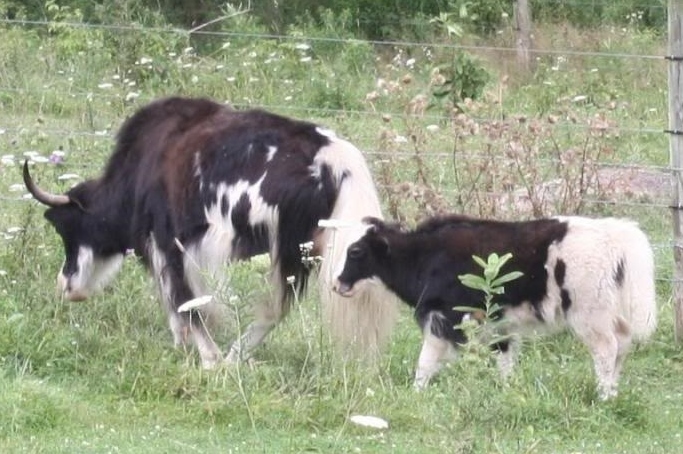 She was the first calf born on the farm. Kaba, left, was born to Octavia in March 2013. Nagu, right, was born to Niobe in September 2012. Looney was born to Gaia in May 2013. 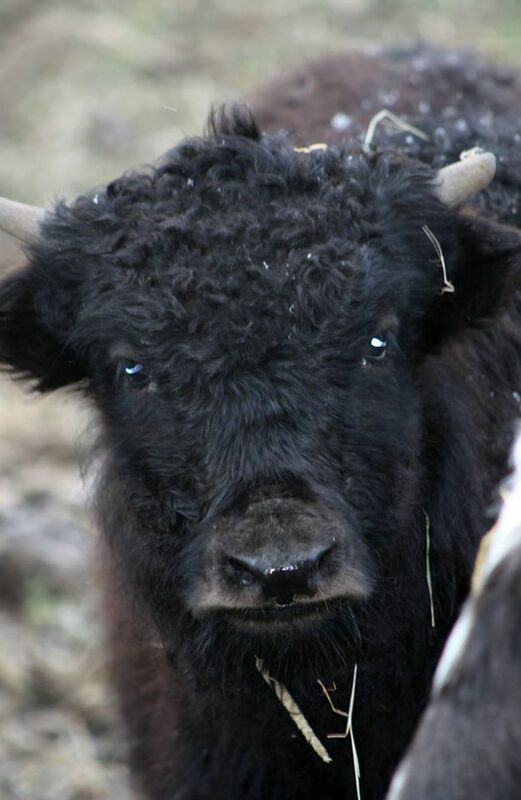 Angus was born to Niobe in September 2013. Damona (aka Leggy) was born to Octavia in August 2014. 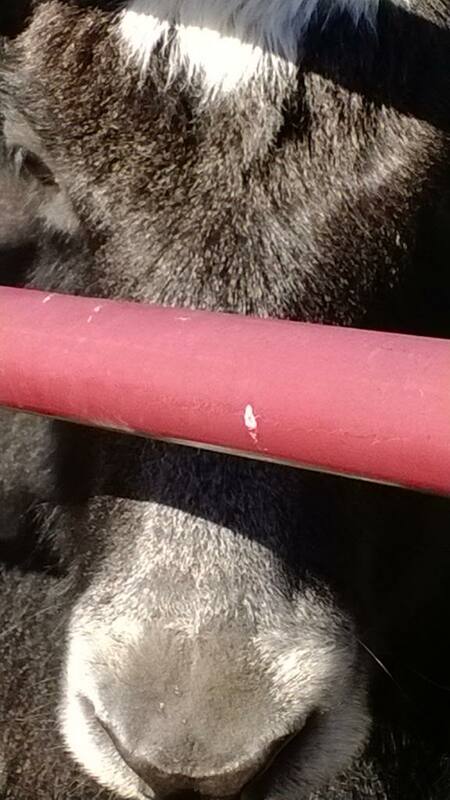 Hathor (aka The Bufflao) was born to Niobe in July 2014. The Skirted Fleece flock are California Varigated Mutants brought from Marushka Farm in December 2010. 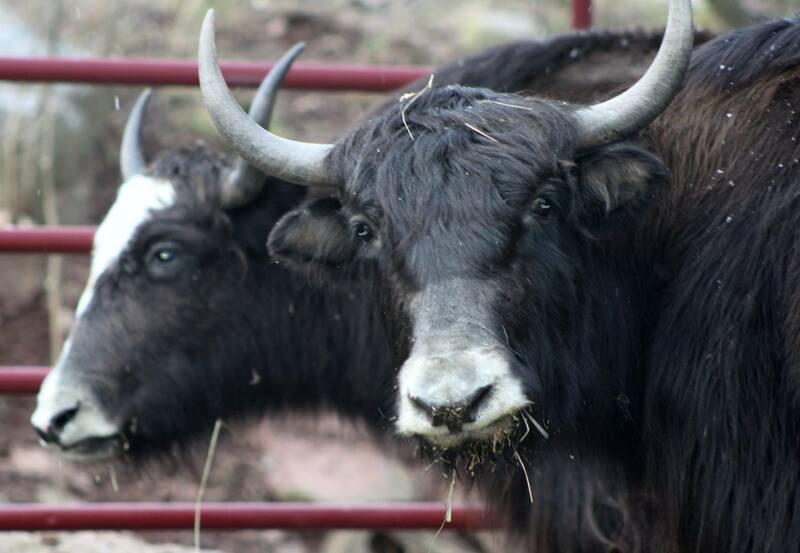 CVMs are the multicolored offshoot of Romeldales and are one of the rarest true American breeds. 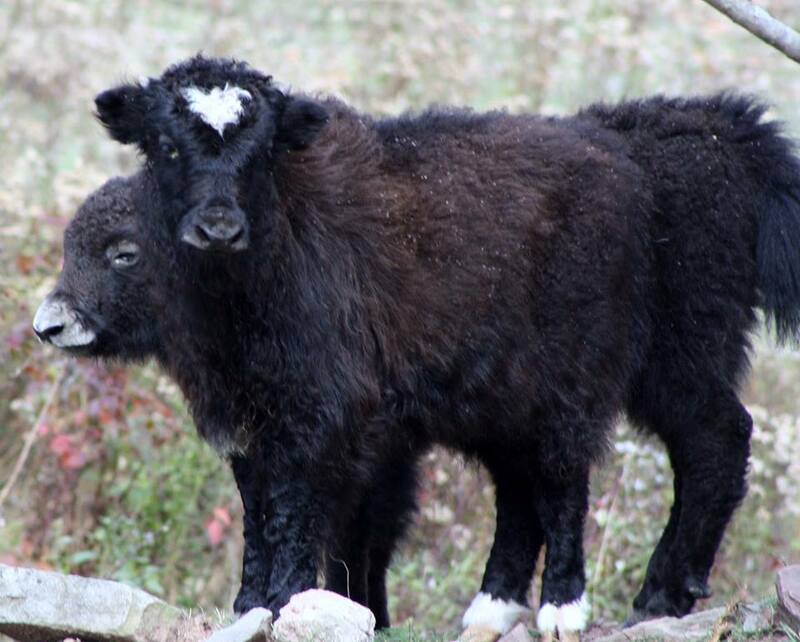 At present, the American Livestock Breeds Conservancy lists the breed as Critical, with less than 2000 animals worldwide. Unlike other breeds, the CVM fleece actually gets softer as the animal ages. Sailor is a red satin angora buck. We hope to expand the angora rabbit program in the future. Miss Maddie Ross was adopted from the Glen Highland Farm Sweet Border Collie Rescue in 2013. 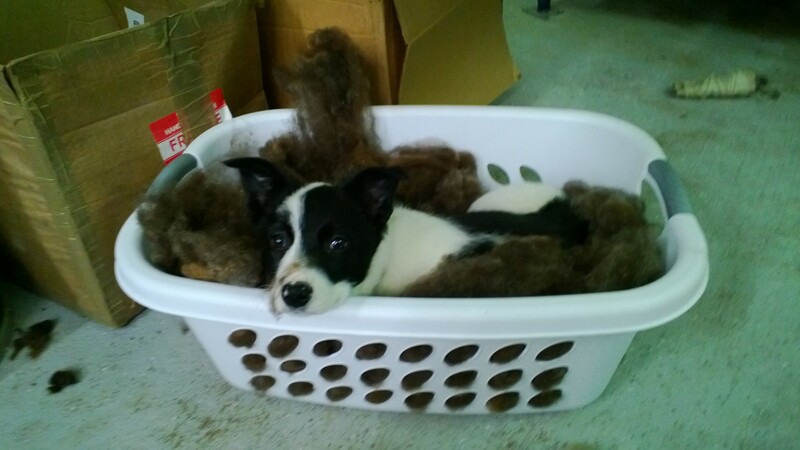 She is a blue heeler/border collie mix and is full of energy and spirit. Maddie loves to herd the sheep, greet everyone visiting the farm, play with all her toys at once, and sleep on the comfiest places in the house. Thora is a Landseer Newfoundland and Liz’s service dog. She can usually be found napping behind the wheelchair or scolding everyone for running, jumping, or having more than the approved amount of fun.